Our grass fed cattle graze on over 200 varieties of 100% organic, pesticide free grass from our family farms of Australia and the United Sates. This product has the optimal ratio of Omega-6 and Omega-3s that you crave. If you're looking for the highest quality, healthiest and best tasting grass fed beef in the world, you've found it! Cooking: Stir and brown in a skillet until the meat is no longer red. 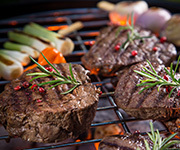 For patties, cook on the skillet or grill until the internal temperature reaches 160 °F as measured with a food thermometer placed in the thickest part of the meat. Remove from heat and serve. 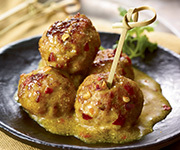 Organic Ground Beef can be used in your oven cooked recipes, such as meat loaf. 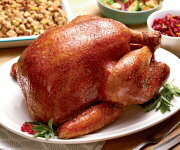 Cook to an internal temperature of 160 °F, remove from heat and let rest for three minutes before serving. Our grass fed cattle graze on over 200 varieties of 100% organic, pesticide free grass from our family farms of Australia and the United Sates. This product has the optimal ratio of Omega-6 and Omega-3s that you crave. I've tried a lot of organic beef products, but this one tastes the best, by far -- reminds me of the beef my grandfather used to raise. I'm sold on this; won't buy anything else from now on! This makes the BEST burgers bar none! I love the way it is shipped. Being on a tight budget, it is expensive, but WORTH it! Thank you for a great product. best ground beef have had in fifty three years. will definitely be ordering more. Just tried our first package of grass-fed beef. It's FANTASTIC. Thanks so much for offering this product. We believe grass fed is healthier and now we know it tastes better too! 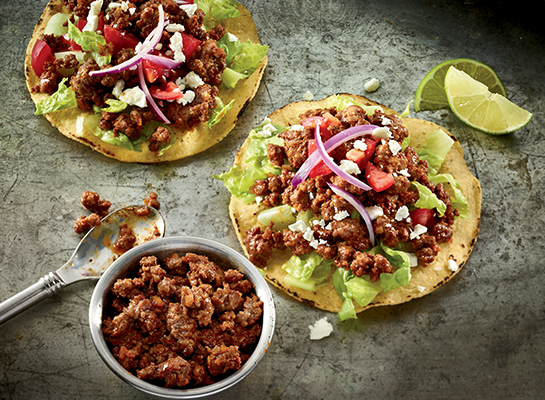 Once you try this beautiful Organic Ground Beef you will not want anything else. Best I have ever had and my recipes come out PERFECT! Now THIS beef you can feel GOOD about! Rich and juicy. I love knowing the animals are treated well and the meat is better for my health. I wont eat any other burger now! Wow. I bought some of this to try, at a Hyvee in Kansas City. I have been buying grass-fed beef and bison from local farmers. It tastes noticeably better than the finest regular beef. But this tastes the best so far. It was so good I had to look up the website. Thank you so much for offering such a quality product! Nutritionally extraordinary! Prior to discovering OP meat my health was marginal. Now, I am bigger, stronger, faster. My mind wonders what I have been consuming earlier. Only OP organic for me from now on. Just made the best meat loaf with 1 lb ground beef - 1/4 cup red lentils, (cooked & drained)1/4 cup quinoa flakes, 2 Tbls ketchup, 1/4 tsp salt, 1 egg,2 tsp tamari, 1 small onion finely chopped sauteed in olive oil. Shape into loaf, top with ketchup, mustard , sprinkle with coconut sugar bake at 325 deg about 1 and 1/2 hours. serve with mushroom gravy. This product was superior in flavor and texture than the standard ground hamburger. We don't make hamburgers at home very often but I think that is about to change. This was our first order from Organic Prairie. The meat is wonderful, well packaged. The service from the company in the midst of bad weather was top-notch. Thanks for being there, Organic Prairie. We will be back for more! We don't eat much meat, but when we do we want it to be the best. That's why we buy the organic grass-fed ground beef from organic prairie. I will not buy beef in the grocery store, don't know what's in it. Your beef is exceptionally good. I trust your good pasture raising process. Thank you for your specials. God bless 2014. Organic Beef.... its whats for dinner! This is the only way I will buy or eat beef. 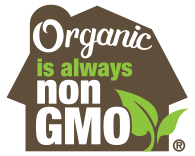 I trust the Organic Prairie label and until recently had purchased from Whole foods. Its a better price to buy direct, less shipping miles to reduce carbon and less hands that touch my food. Stuff is good. Execute the owners of the other criminal GMO purveyors. Revolution! Makes fantastic burgers! Just a dash of salt & pepper, nothing else needed. I buy this product because it is organic, and taste good. It arrives fast and is packaged very nice. 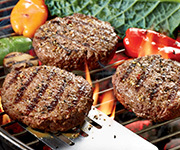 This ground beef is superb in any recipe and makes great burgers also! 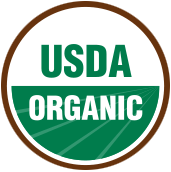 Our Health Food Store doesn't carrying the Organic Prairie 100% grass fed - so we ordered them on-line. THEY ARE THE B-E-S-T! 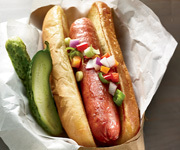 We grilled them and added lightly grilled vidalia onions over them... Scrumptious, Mouth-Watering, Incredible Flavor! Organic Prairie we Love U! Love this meat -- makes declicious hamburgers and anything else you might cook!!!!! Excellent. Grassfed beef is absolutely the best. I've completed at least 4 orders from Organic Prairie and I've had consistently wonderful meats delivered rock-solid flash frozen exactly as requested. I'm a VERY satisfied customer! Everything I have ordered from Organic Prairie is delicious. They are the only company that I will ever buy meat from again. Their deliveries are prompt and beautifully packaged. Thank you so much! The best beef ever. Packaged and delivered beyond expectations. Taste of meat is exceptional. Delicious, healthy, and quick delivery. Best grass fed ground beef in the world,healthy and tasty. It's really important for me to buy grass fed beef from healthy cows. My ground beef arrived in a cooler in just a few days after ordering. Thank you! Very little fat in this ground beef. Full of flavor. very good, will always buy. Excellent taste and quality...I order whenever it's on sale! This ground beef is very good. I have ordered this ground beef several times. Very very good ORGANIC ground beef. have been purchasing this product for a long time. Tastes great and not much fat. Will keep on buying it. 1 lb ground beef pkg - best tasting grass fed ground beef I have found - so good! I thought the beef was excellent. Already on my second order! This ground meat has too much fascia and cartilage/bone in the the grind. I don't like biting into taco meat, etc and hitting something hard. For the price, this should not be the case. I would not purchase this item again. The only meat I buy is from Organic Prairie. Its shipped on time, the packaging is good and of course the steaks and ground beef are delicious.